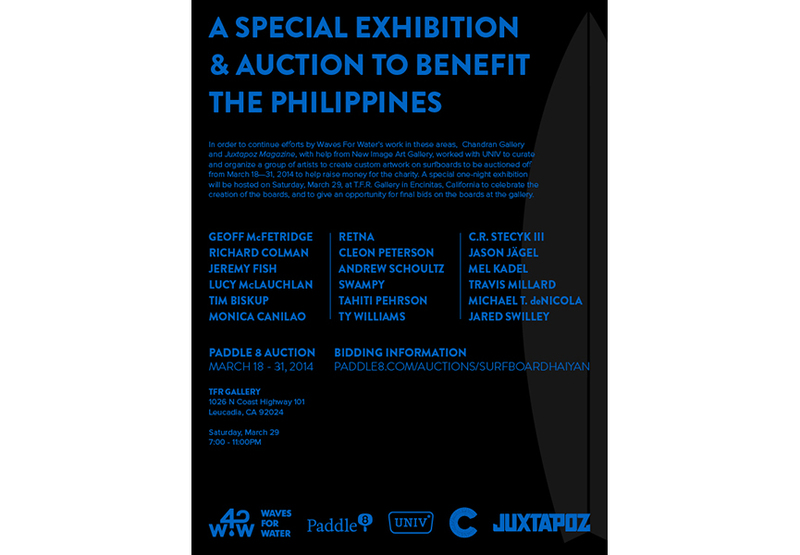 Chandran Gallery, T.F.R Gallery and Juxtapoz Magazine, with the help from New Image Art Gallery, worked with California-based shop UNIV to curate and organize a group of artists to create custom artwork on surfboards to be auctioned off from March 18 – 31, 2014 to help raise money for the charity Waves For Water. Waves For Water is an organization on the ground in the Philippines dedicated to mobilizing an urgent clean water disaster relief initiative in the aftermath of Super Typhoon Haiyan. The goal is to take existing solutions in the form of portable water filters into countries that need them so every single person will get clean water. 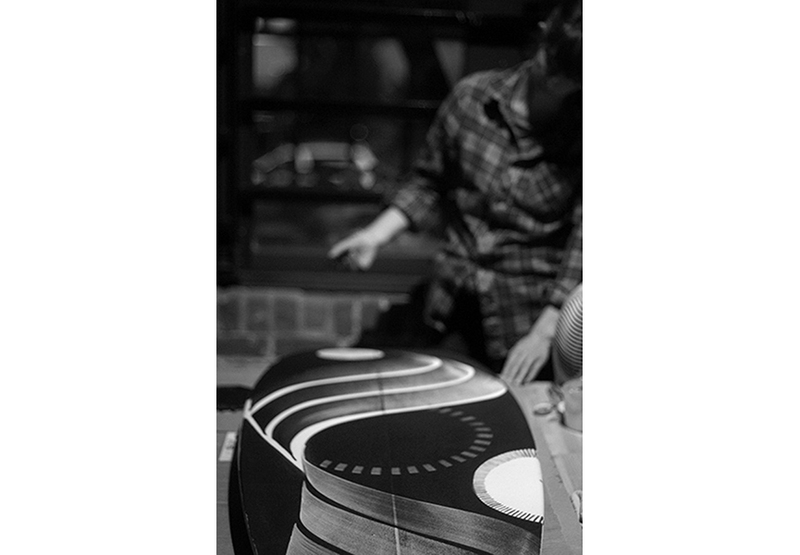 A special one-night exhibition will be hosted on March 29, at T.F.R Gallery in Encinitas, California to celebrate the creation of the boards, and to give an opportunity for final bids. 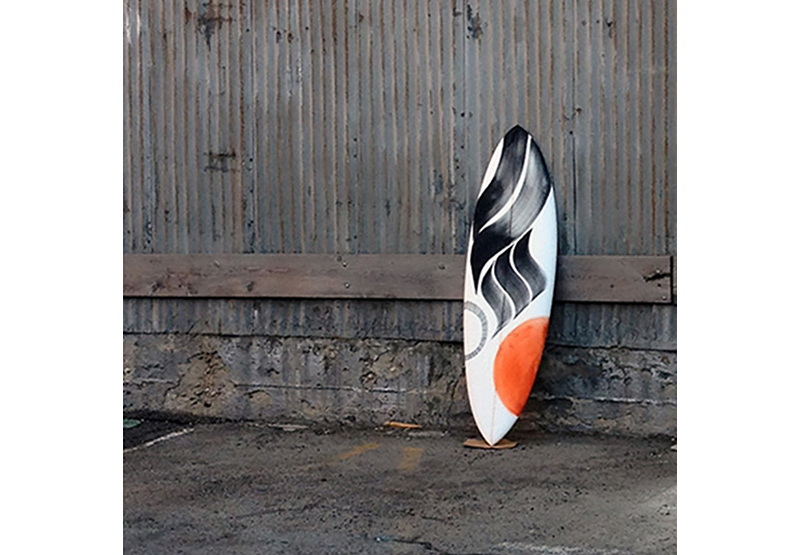 This collaborative project brings artists together with both the surf community and a charity auction. 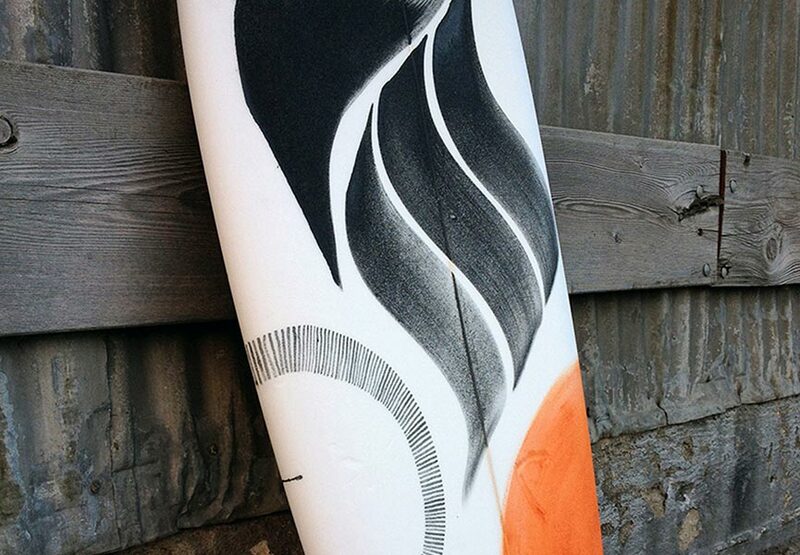 Lucy McLauchlan is one of the artists participating in this special charity auction. She is busy working on hand-painting boards in her distinctive style which will donate in order to raise awareness of the disaster relief charity. Lucy McLauchlan’s work stands alone. Far from the possibilities provided by digital tools, Lucy chose a one-take philosophy. She crafts using permanent materials like Indian ink and marker pen. Lucy McLauchlan’s art is decorative, delicate and stimulating and pervades influences including art deco, psychedelia, naturalism and childlike motifs, resulting in her recognizable style. Alongside her work with Waves For Water, Lucy has been busy in recent months participating in Library Street Collective’s exhibition Z, showcasing new work in Californian group exhibition MOVE at & Pens Press, as well as working on Keep A Breast mural commission at downtown LA’s Angel City Brewery.